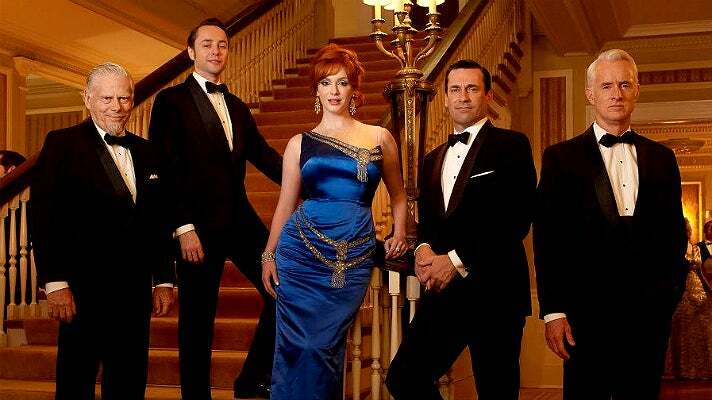 The Emmy® and Golden Globe® Award-winning AMC TV series Mad Men takes place in the high-powered advertising world of 1960s Manhattan and in later seasons the bohemian vibe of Los Angeles as well. The show’s main sets were located in Los Angeles and many of the on-location scenes were filmed in the L.A. area. To celebrate one of the most acclaimed TV series in history, we round up the top Mad Men locations in Los Angeles. Follow our guide and imagine you're closing a deal with Don Draper or having a drink with Peggy Olson. The offices of Sterling Cooper & Partners and other major Mad Men sets were located at Los Angeles Center Studios (LACS) in Downtown. LACS is a full-service, 20-acre studio that features six state-of-the-art soundstages, as well as 450,000 square feet of short- and long-term 'Class A' office space for entertainment-related and creative companies. LACS hosts feature films, TV programs, commercials, music videos, concert rehearsals and events. The studio campus offers numerous venues for lavish galas, small corporate events, screenings, presentations and receptions. 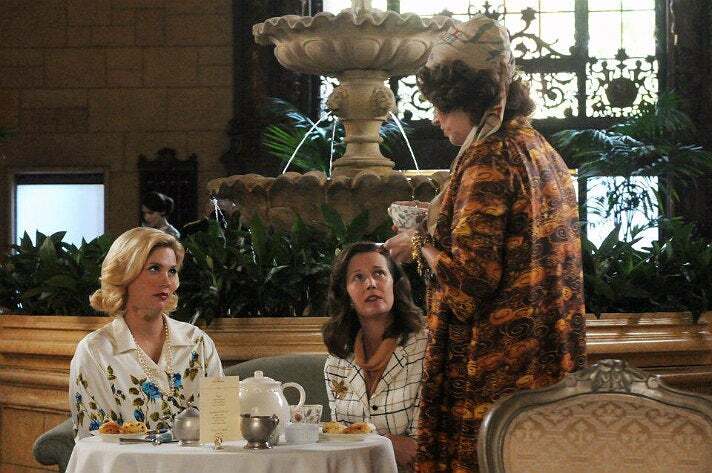 The Season 5 episode, Tea Leaves, features a scene in which Betty and her friend are visited by a fortune teller, who reads Betty’s tea leaves and tells her, “You’re a great soul.” The fortune teller scene was filmed at the Millennium Biltmore, one of L.A.’s most popular film locations and practically a default stand-in for Mad Men hotels. 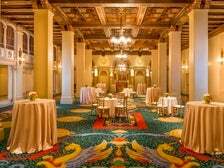 In a Valentine’s Day scene from Season 2’s For Those Who Think Young, Don meets Betty for drinks at The Savoy, played by the Millennium Biltmore. 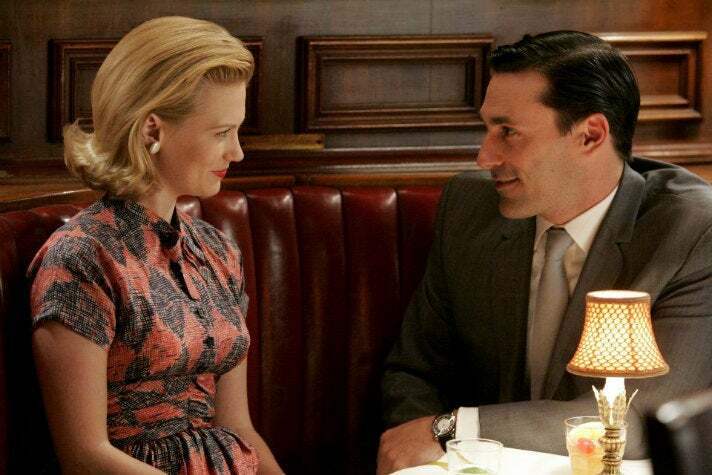 Don takes Betty on a business trip to Rome in the Season 3 episode, Souvenir. Betty’s fluent Italian soon comes in handy as they check in at the Hilton. 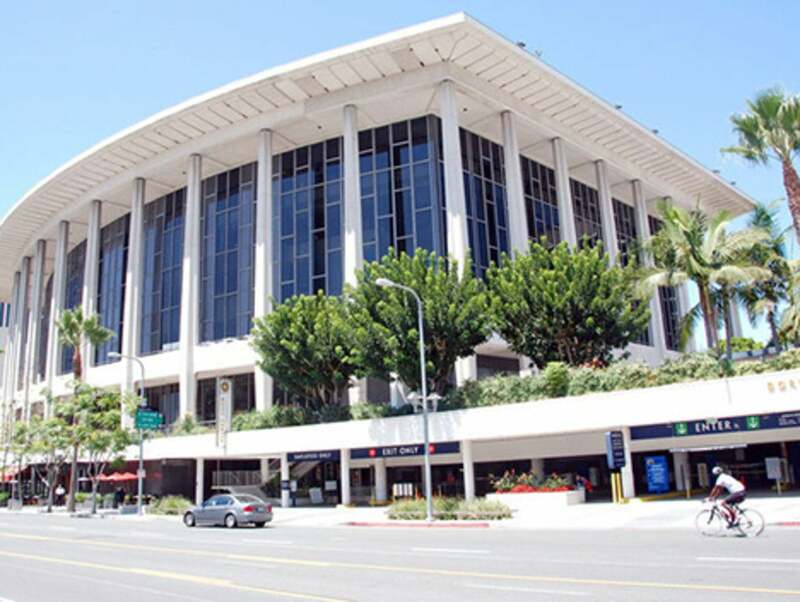 The famed Dorothy Chandler Pavilion was the stand-in for the Hilton’s lobby and outdoor cafe, where Betty and Don pretend not to know each other as she fends off two Italian men. 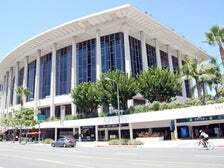 The Dorothy Chandler Pavilion is the home of the Los Angeles Opera and Glorya Kaufman Presents Dance at the Music Center. 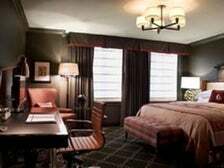 In the Season 4 episode, Waldorf Stories, Don wins his first Clio Award at a ceremony that takes place at the Waldorf Astoria in Midtown Manhattan. 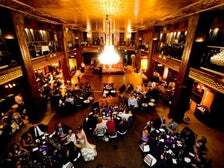 The Waldorf scenes were filmed at Cicada Restaurant, a stunning Art Deco restaurant and special event venue located in Downtown L.A.’s historic Oviatt Building. 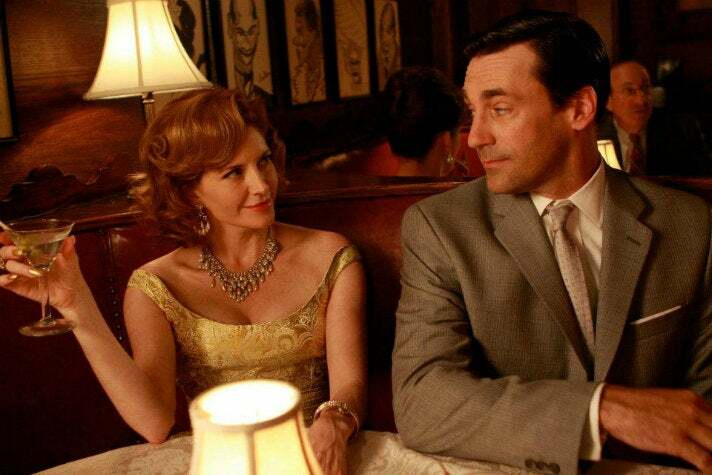 In a case of life imitating art, Mad Men won the Emmy for Outstanding Dramatic Series the same night that Waldorf Stories first aired. 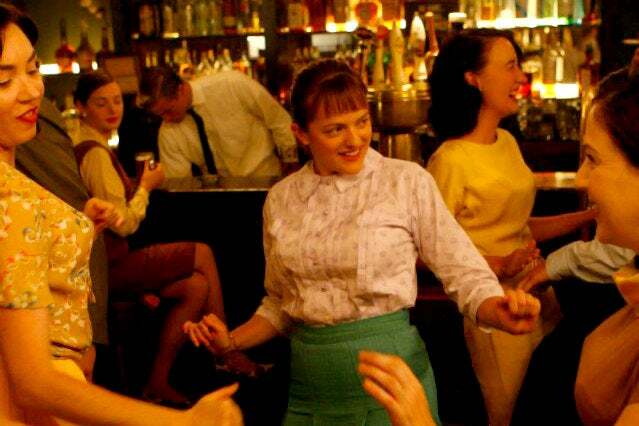 Peggy enjoys a big day at work in the Season 1 episode The Hobo Code, and to celebrate she joins the guys and girls from Sterling Cooper for drinks and dancing at P.J. 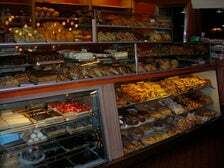 Clarke’s. 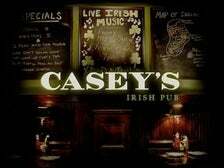 The legendary Manhattan saloon is played by the historic Casey’s Irish Pub in Downtown L.A. Sharp-eyed fans will recognize Casey’s as the bar where Don has a rather unhealthy breakfast in the Season 2 episode, For Those Who Think Young. Clifton's stands in for the Baltimore restaurant where Don and Salvatore “Sal” Romano have dinner in the Season 3 season premiere, Out of Town. The scene was filmed on the third floor of the historic venue, which reopened in October 2015 after a multi-million dollar restoration and renovation. In another storyline from Waldorf Stories, Roger reveals through flashbacks how he first met Don, who hounds him for a job at Sterling Cooper. 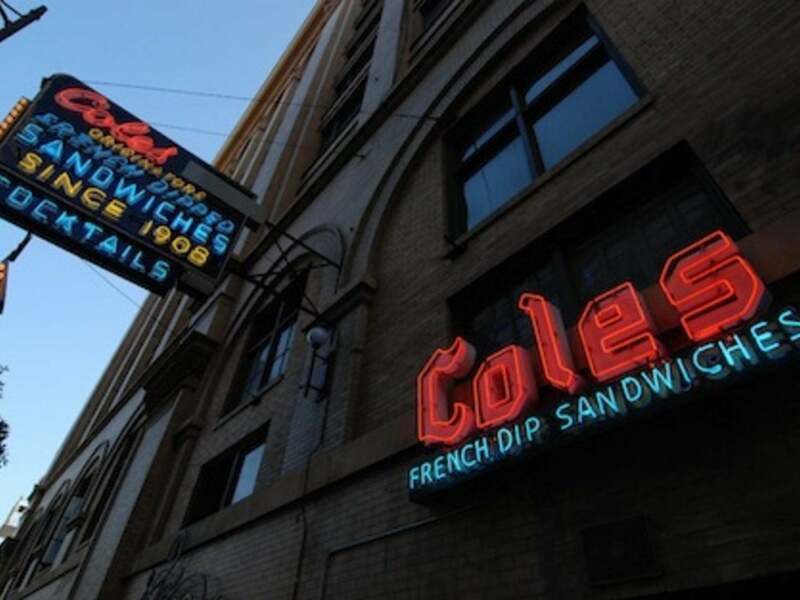 A key scene, when Don takes Roger out for a boozy lunch, was filmed at Cole’s in Downtown L.A.
After the devastating loss of a loved one, Don turns self-reflective in the Season 4 episode, The Summer Man. 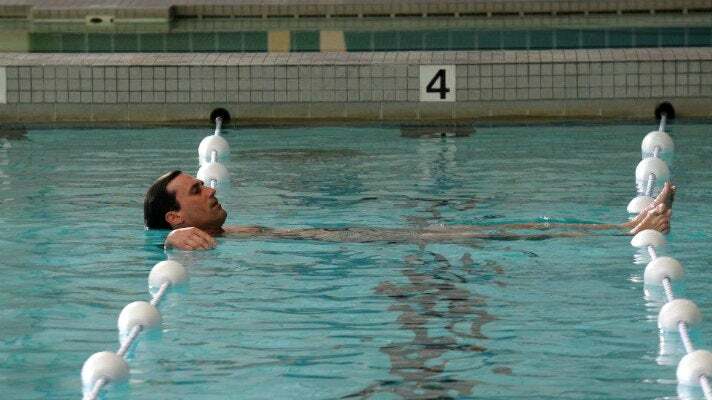 He writes in a journal, tries to curb his drinking, and does laps in a swimming pool at the New York Athletic Club. The pool scenes were shot at the Los Angeles Athletic Club (LAAC) in Downtown L.A. 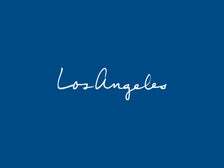 Founded in 1880 as the first private club in Los Angeles, the LAAC includes state-of-the-art athletic and spa facilities; award-winning restaurants and bars; and meeting, conference and hotel rooms. In the Season 1 episode, Shoot, Don is courted by the head of a rival ad agency during the intermission of Fiorello!, which ran at the Broadhurst Theatre from 1959-1961. 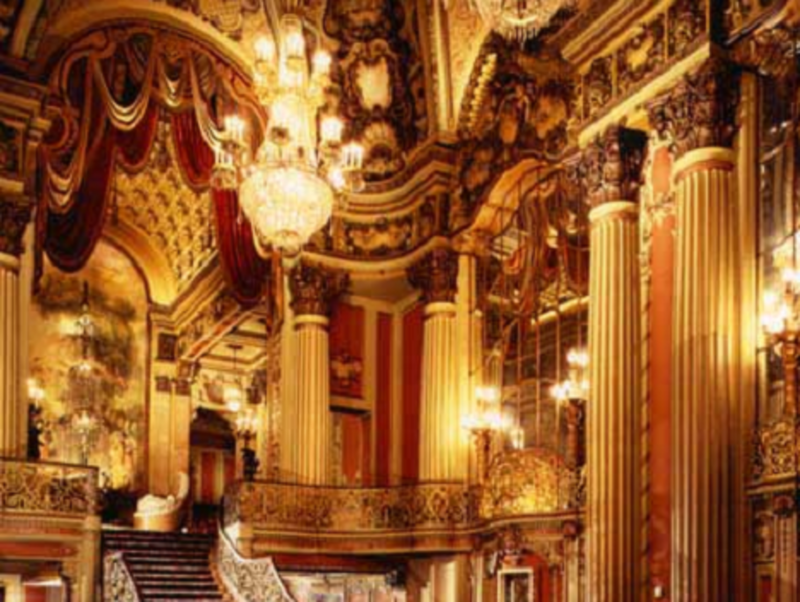 The Broadhurst lobby scene was filmed at the Los Angeles Theatre, located in the heart of the historic Broadway Theatre District in Downtown L.A. The 2,000-seat movie palace was built in 1931 and is listed on the National Register of Historic Places. 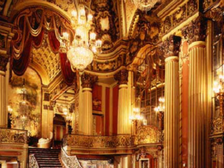 The Los Angeles Theatre is one of the hosts of Last Remaining Seats, a summer series of classic films and live entertainment presented by the Los Angeles Conservancy. Don has to confront his past when he meets with his half-brother Adam in the Season 1 episode, 5G. 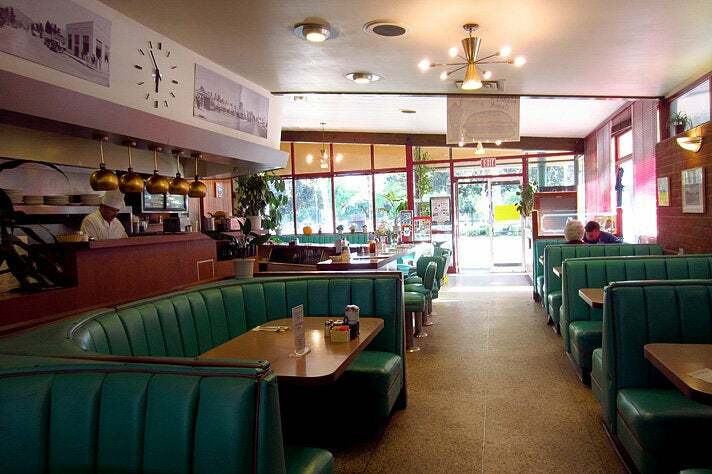 They talk at a diner called the Deelite, played by the ubiquitous Quality Cafe in Downtown L.A. The restaurant closed in 2006, but it continues to be one of L.A.’s most-filmed locations and is easily spotted in countless productions. 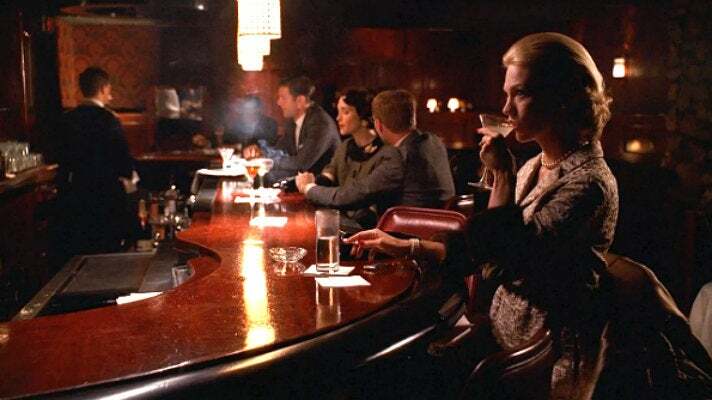 Mad Men has never filmed at Bar Keeper, but its presence is felt throughout the series. 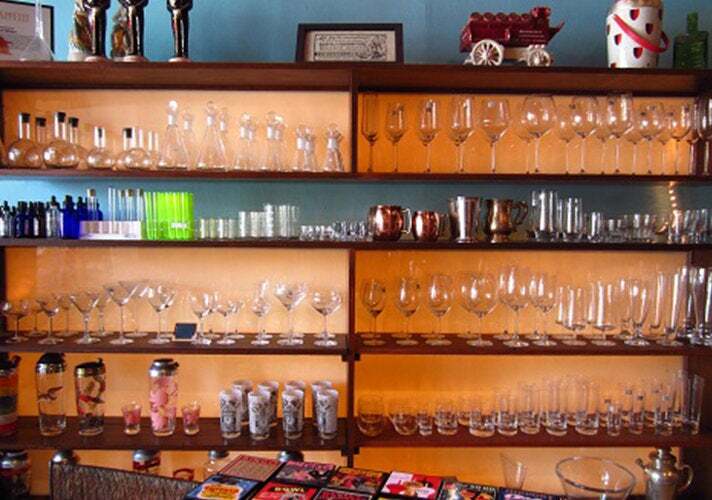 The Silver Lake store supplied the vintage barware that Mad Men cast members hold in their hands as regularly as the fake cigarettes. What could be better for a diehard fan than watching their favorite TV show while sipping an Old Fashioned out of the same glass as Don Draper? In the Season 1 episode, Red in the Face, Roger makes a drunken pass at Betty. 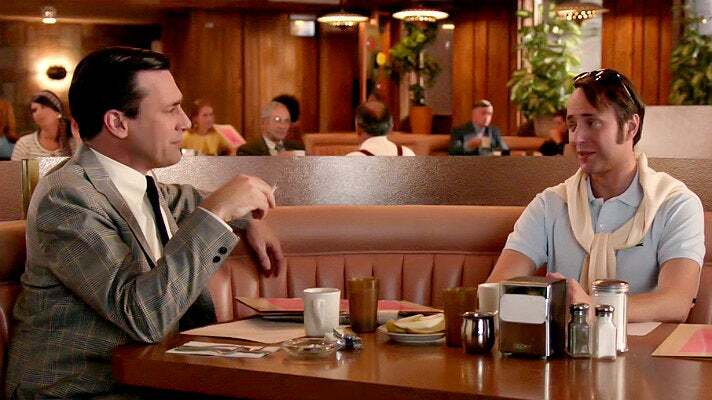 Don gets his revenge by taking Roger to a lunch of Martinis and dozens of oysters that ends spectacularly in the Sterling Cooper offices. 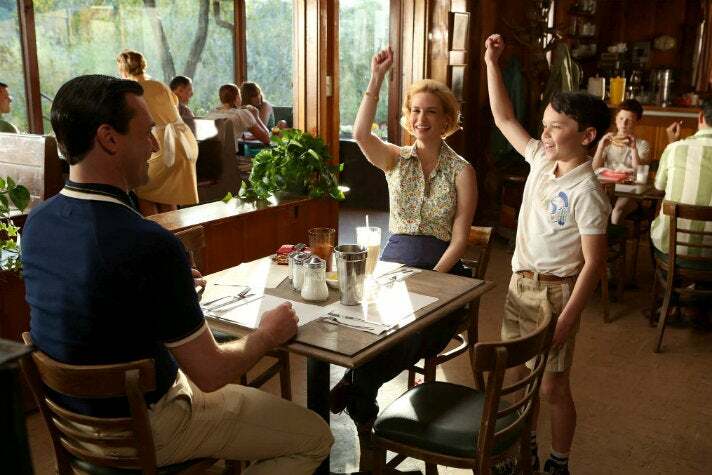 The lunch scene was filmed at Musso & Frank Grill, the oldest restaurant in Hollywood and famous for its legendary Martinis. In the Season 2 episode, The New Girl, Musso’s stands in for Sardi’s, the famed Theater District restaurant where Don joins Bobbie Barrett for dinner. 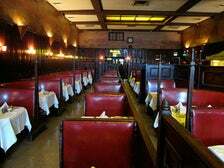 Musso’s also played Downey’s Steakhouse in The Rejected, from Season 4. 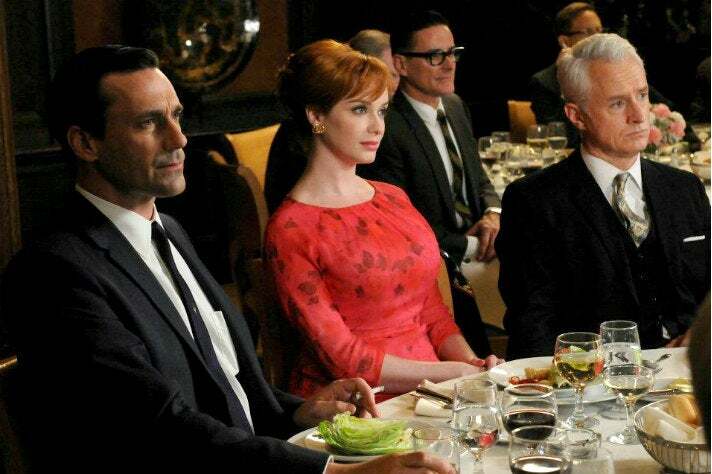 The Rejected was the directorial debut of John Slattery, aka Roger Sterling. 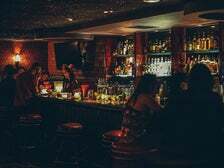 Located on Vine Street in Hollywood, Three Clubs is a classic cocktail lounge with deep leather booths, velvet wallpaper and dim lighting. 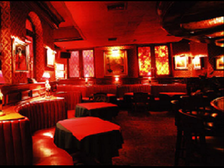 In addition to its appearance in the 1996 indie hit Swingers, Three Clubs has been featured in multiple episodes of Mad Men, including the Season 2 finale, Meditations in an Emergency. After Betty finds out she’s pregnant, she drops the kids off at Don’s hotel, goes shopping and heads to a bar. She initially brushes off the stranger who buys her a drink, but then engages in a tryst with him in the bar’s office. 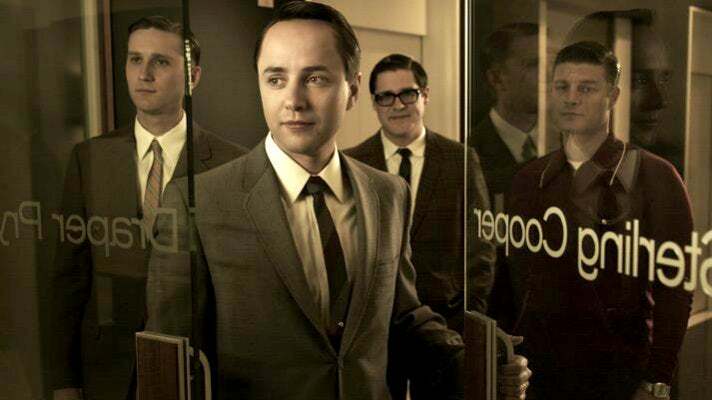 In the Season 7 premiere, Time Zones, Don visits Los Angeles, where a few main characters have moved: his wife Megan, Ted Chaough, and Pete Campbell. 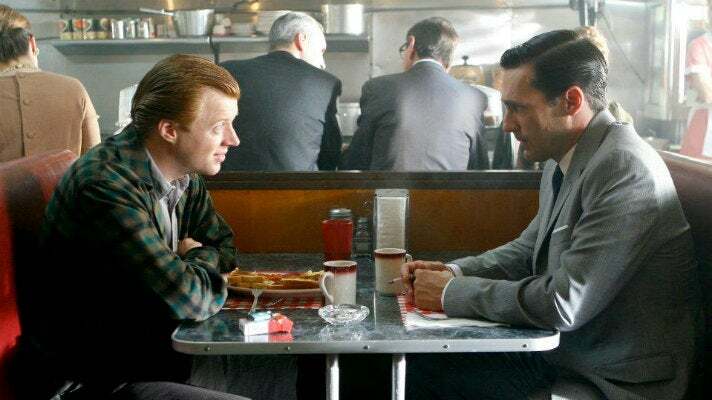 In one scene, Pete - who has embraced the West Coast lifestyle - meets Don for lunch at Canter’s Deli, where everyone from Elvis to Marilyn Monroe, Cary Grant, Elizabeth Taylor, Muhammad Ali, Led Zeppelin, and Prince have noshed. Don and Pete both order the Brooklyn Avenue, a pastrami sandwich topped with coleslaw. 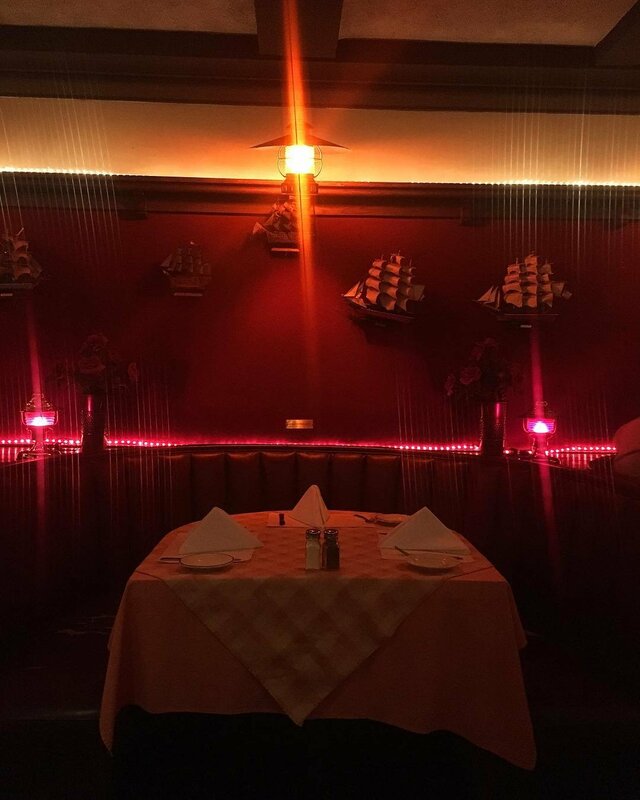 In the Season 1 episode, Indian Summer, Peggy goes on a blind date with a truck driver at La Trombetta, a fictional Manhattan seafood restaurant. The scene was filmed in the back room of the HMS Bounty. 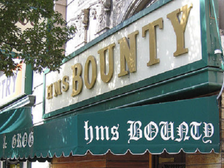 The Koreatown watering hole first opened in 1948 on the ground floor of the Gaylord Hotel, and after several ownership changes debuted as the nautically-themed HMS Bounty in 1962. Ladies Room, the second episode in the series, begins with the Drapers and the Sterlings enjoying Martinis and tableside Caesar salads at the now-defunct Toots Shor's. The dinner scene was filmed at The Prince, a Koreatown favorite that opened as The Windsor in the 1920s and is well-known for its deep-fried chicken and classic decor. Roger's daughter Margaret chose a fateful date to have her wedding: November 23, 1963, the day after the assassination of President John F. Kennedy. The wedding goes on as planned in the Season 3 episode, The Grown Ups, filmed at the Ebell of Los Angeles. 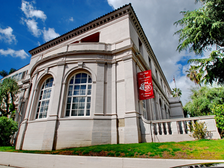 Since 1927, the Mid-City complex has been owned and operated by the Ebell of Los Angeles Women's Club. The Wilshire Ebell Theatre has hosted musical performances and lectures by world leaders and top artists. 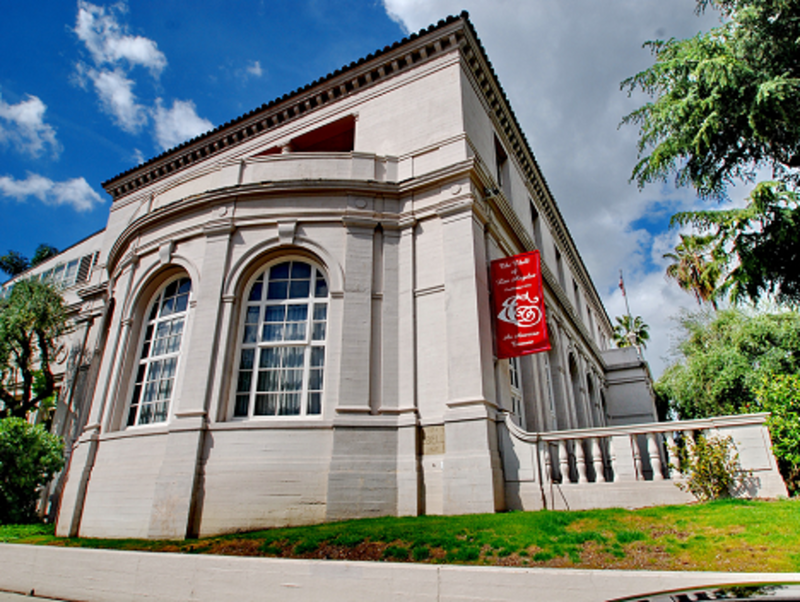 The Ebell was declared a Los Angeles Cultural Historic Monument in 1982. 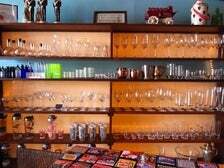 It was added to the National Register of Historic Places in 1994, and has also been designated an Official American Treasure by the National Trust for Historic Preservation. Descanso Gardens makes a couple of key appearances in the Season 6 episode The Better Half. Betty stops and asks for directions to son Bobby’s summer camp (and bumps into Don) at a gas station portrayed by the Descanso Gardens “shop.” Later in the camp diner, Bobby teaches his parents a rousing campfire song, Father Abraham Had Seven Sons. The rare scene of Draper family bliss was filmed at Descanso’s lakeside Boddy Lodge. Located in La Cañada Flintridge, Descanso Gardens features 160 acres of botanical gardens, the Enchanted Railroad, art gallery and more. 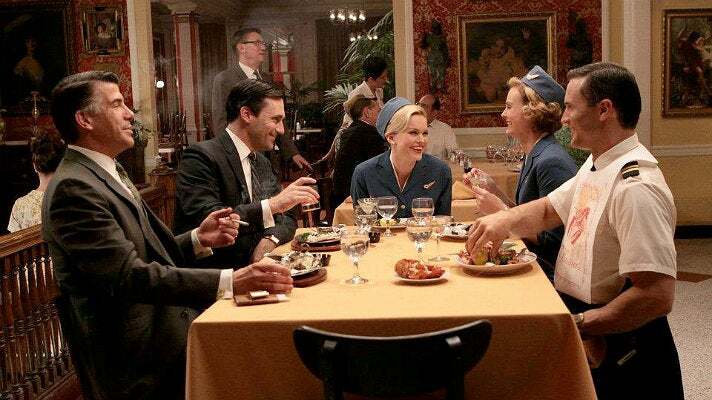 The Season 5 episode, Far Away Places, follows Peggy, Roger and Don over a single day. In their storyline, Don and Megan Draper take an impromptu road trip to upstate New York. An argument in a motel restaurant escalates until Don drives off without Megan. 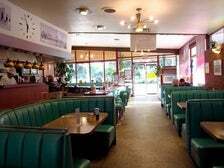 The “orange sherbet” scene was filmed at Rod’s Grill, located just down the street from Santa Anita Park in Arcadia. The classic diner opened on historic Route 66 in 1946.